My latest book is yet another dark offering from our lovely continent, Africa. Dead Corpse is another ghostly tale of revenge and unfinished business. When the only daughter of a powerful female witchdoctor is murdered, the grieving mother calls upon all the fearsome powers of her deity to exact a deadly vengeance on the people that betrayed and murdered her child for ritual magic, together with the cruel community that knew the terrible secret and never told. I recall being around 12 years when I read my first horror book, an African ghost story book, The Palmwine Drinkard by Amos Tutuola. It opened my eyes to a whole new world of written horror, as against the oral moonlight ghostly tales I’d known prior to that. Which 3 horror books do you keep returning to? Need anyone ask? The King himself – first name Stephen, for anyone who doesn’t live on earth and for women, while some may claim Mary Shelley as the deserving queen, I’ll have to go with Susan Hill any day! Greatest horror film (adapted from a book) & why? Daphne du Maurier’s Don’t Look Now – Donald Sutherland was brilliant in his role as the doomed John Baxter and the beautiful and haunting scenes of Venice stays with one forever. Very few films for me are true to the books, especially in casting the characters. Which is why films like Don’t Look Now, The Godfather and The Shining remain true classics. It’s got to be American Horror Story for me, hands down. While studying for my Masters in Writing at Warwick University, we had numerous visiting agents who drummed into our ears the near-impossibility of getting an agent on graduation. As I had stories I wanted to share with whoever wanted to read them, I decided to self-publish. I went on the internet to search how to set up a publishing company and secure distributors. So, Canaan-Star Publishing UK was born. I published my book and before I knew it, other authors were requesting to be published. I try not to publish more than four titles a year otherwise I’d be inundated with work and end up ignoring my first passion, writing. So, all my books are published by my company and distributed by Ingram. I have a small band of fans who are ardent about my work. I value and respect them and thank them for making my writing even better. These fans understand my genre; they “get” African horror. They give me suggestions on how to improve the writing and the story. Some of them are my beta readers and they make everything worth it for me. I write because the stories must be told. It’s a bonus when a total stranger reads my work, loves it and writes a glowing review. When it’s more than one stranger, it makes it even more special. My fans are truly special. 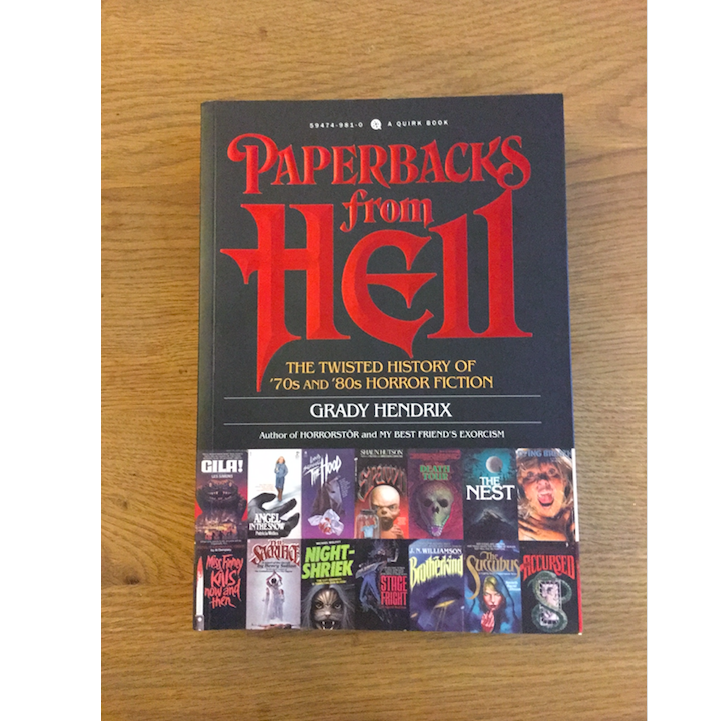 A couple of years ago, I wrote a blog for Word of Colour on 7 tips for writing horror. So, for me, the most important tip for any aspiring horror writer is this: Know Your Horror. Horror is a broad genre encompassing numerous sub-genres such as supernatural horror (werewolves, zombies, vampires), sci-fi horror (aliens/robots within a horror plot), psychological horror, gothic horror (Edgar Allan Poe), slasher/gore/splatter horror, demonic/occult horror, paranormal romance horror, body-parts horror (Mary Shelley’s Frankenstein) – just to mention a few. You don’t have to love all the horror sub-genres. Identify the one that holds the most attraction and fascination for you; the one that automatically grabs your attention and draws you like a magnet. For me, it has always been ghosts and haunting and demonic and occult stories. So, when I started writing, all my work inevitably reflected my interests. The worst evil is that perpetrated by man against man. Every other evil, supernatural or otherwise, pales in comparison. How can anyone not believe in evil when we are surrounded by it every single day? I’m a shameless wuss. Everything scares me, planes, heights, bridges, lightning and thunder, big spiders, oceans, darkness….I still sleep with the lights on and cower behind doors at the first flash of lightning, lol. 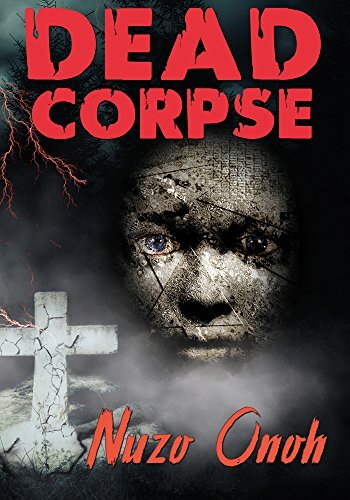 My latest book, Dead Corpse, is published on Halloween 2017.